T. Vaughn Walker, the first African American elected as a full-time professor at a Southern Baptist Convention seminary, passed away at age 68. Walker, who served as a professor at the Louisville, Kentucky-based Southern Baptist Theological Seminary for 30 years, died late Saturday evening. Many Southern Baptist leaders paid their respects on social media, including current SBTS President Albert Mohler. Russell Moore, president of the SBC’s Ethics & Religious Liberty Commission, also tweeted his condolences over the passing of his former colleague. “He was the first tenured African-American seminary professor in SBC history. He was a godly leader, and a gracious Christian man,” posted Moore on Sunday morning. A native of Heathsville, Virginia, Walker was born in 1950 as the eldest son of Thomas and Mary Walker. In 1984, he earned a Ph.D. from Oregon State University and became an educator. 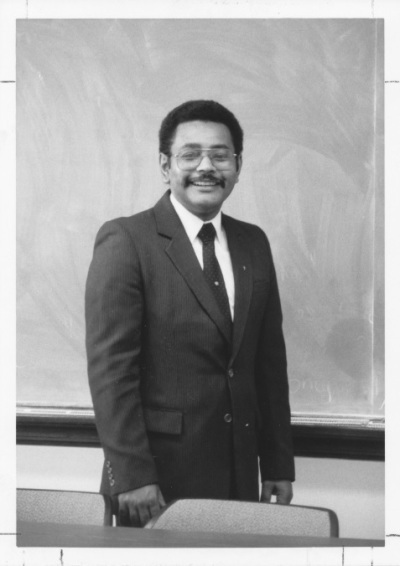 In 1986, Walker was appointed the first African-American professor at any Southern Baptist seminary, eventually being elected to the faculty in 1997. Walker initially worked as an assistant professor at the Carver School of Church Social Work, then moved to the School of Theology, and eventually to the Billy Graham School of Missions, Evangelism and Ministry in 2003. “I know I was the first African-American, at No. 200, to sign it. I even wondered whether an African-American had ever touched that book before, had ever had his hands on it,” said Walker at the time. Last month, SBTS released a released a 71-page report, detailing their history of racism and support for slavery as part of an endeavor to recognize their past moral failings on race issues. “We must repent of our own sins, we cannot repent for the dead. We must, however, offer full lament for a legacy we inherit, and a story that is now ours,” wrote Mohler. In addition to being a professor, beginning in 1984 Walker also served as senior pastor of the First Gethsemane Baptist Church in Louisville. “Our beloved Pastor Dr. T Vaughn Walker has transitioned home to be with the Lord. Please pray for his family, 1st G and all who knew him. Thank you Jesus for blessing our lives with this Mighty Man of God,” posted the church on Facebook. Walker is survived by his wife Cheryl D. Walker, three children and six grandchildren. Thom Rainer Presents New Research on "Breakout Churches"